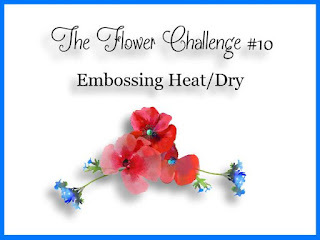 Hello, I made my card today for The Flower Challenge - #10 Embossing Heat/Dry. 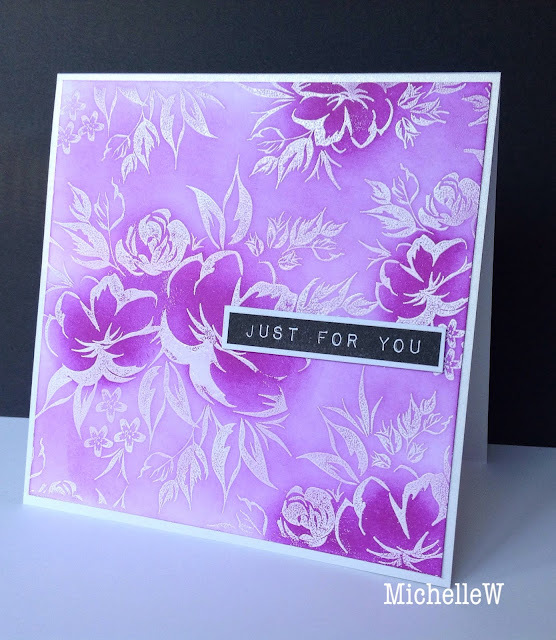 I used the Peony Terrace background stamp from The Ton and white heat embossed onto Bristol card stock. I sponged CP Designs Ink in Pixie Dust and Flirty Fuchsia and added a sentiment from Altenew Label Love. This card came together quite quickly so I think I'll make a few more in different colours for my stash. Very pretty, Michelle. Love the colors! Very pretty in those shades of purple.